Brazil's far-right President-elect Jair Bolsonaro will merge the ministries of agriculture and the environment, an aide says, in a move which critics say could endanger the Amazo n rainforest. 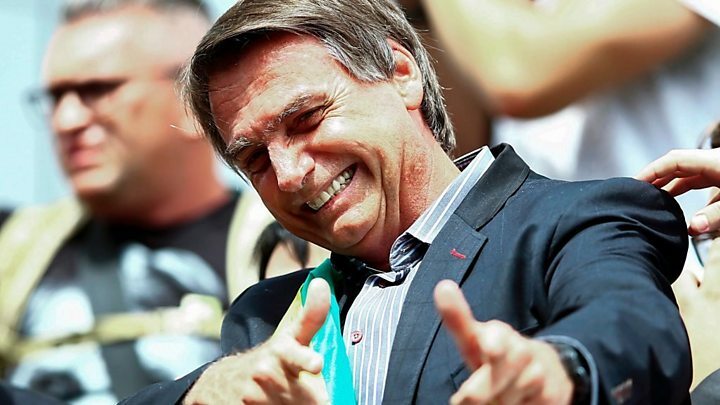 Mr Bolsonaro's future chief of staff, Onyx Lorenzoni, announced the new "super ministry" as details of the new administration began to emerge. The controversial new Brazilian leader is supported by the agribusiness lobby. A former environment minister tweeted that the move was "tragic". "This disastrous decision will bring serious damage to Brazil and will pass on to consumers abroad the idea that all Brazilian agribusiness survives thanks to the destruction of forests," Marina Silva said. Earlier, Vice President-elect Hamilton Mourao dismissed environmentalists' concerns about development in the Amazon, saying the government would act responsibly by managing the spread of agriculture in the region. Why is the Amazon important? The Amazon region holds t he largest tropical rainforest in the world and is home to plant and animal species that are still being discovered by scientists. Is the Amazon facing new dangers? But a debate has raged in Brazil over the often conflicting needs of environmental protection and economic development. 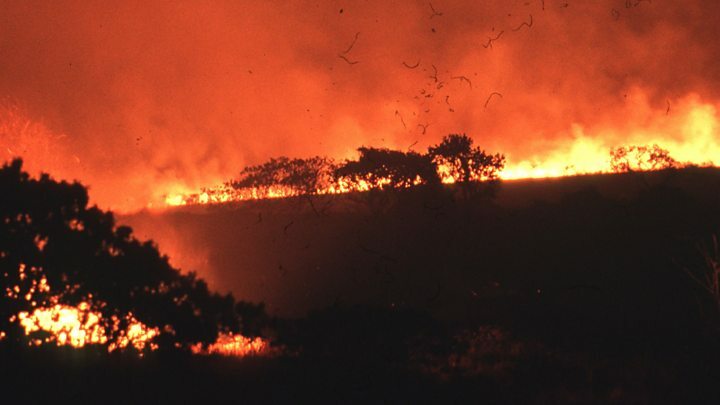 Earlier this year the supreme court upheld major changes to laws which environmentalists say will make illegal deforestation acceptable. What are Mr Bolsonaro's views on the environment? Mr Bolsonaro, 63, has previously suggested that Brazil could pull out of the 2015 Paris Agreement on climate change. He says its requirements compromise Brazil's sovereignty over the Amazon region. In the run-up to the election he had suggested merging the agriculture and environment ministries, saying, "Let's be clear: the future ministry will come from the productive sector. We won't have any more fights over this." Warned by activists that such a move would underm ine the environment ministry's controls on the commercial sector, he struck a more conciliatory tone saying he was "open to negotiation on that issue". What else has been been decided? Following behind-closed-door talks on Tuesday, Mr Bolsonaro's top economic adviser Paulo Guedes confirmed that an economic super-ministry would be formed combining finance, planning, industry and trade. It will be headed by Mr Guedes. Mr Lorenzoni also announced that Mr Bolsonaro's first foreign visits would be to Chile, Israel and t he US. He described them as countries that "share our worldview." Mr Bolsonaro swept to victory in Sunday's election, easily beating his left-wing rival Fernando Haddad. The former paratrooper is a deeply polarising figure who has in the past defended the actions of the country's former military regime and said he is "in favour of dictatorship". His populist approach has led to some media dubbing him "Trump of the Tropics". Asia Bibi's blasphemy conviction polarised Pakistan and the Supreme Court has already sparked protests. What do American voters care about?